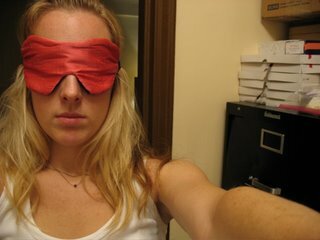 Just finished a potential new katie james product - the beauty sleep mask. When I first started Narnia, David would off course go to bed before me. I had a random sleep mask lying around, so he'd put it on so that I could continue reading. Then when football season came around, with those highlights, I wore the sleep mask. Of course, we needed katie james versions, so here it is. Made from 100% raw silk, with a black reversible back that blocks out the light, this sleep mask is good for catnaps and sleep-ins. Red (shown) is now available at katie-james. More colors available soon. Here are some sleep mask prototypes. At first, David thought it neat if it had the shape of cat eyes. But it didn't work so well. I've also been making tweaks to the website, as it was not up to SEO (search engine optimization) par. So, there will be a few changes to the site in days to come. I had to get more keywords in the category and home pages, so it can be a lot of work.